MURDER MOST FRAGRANT! 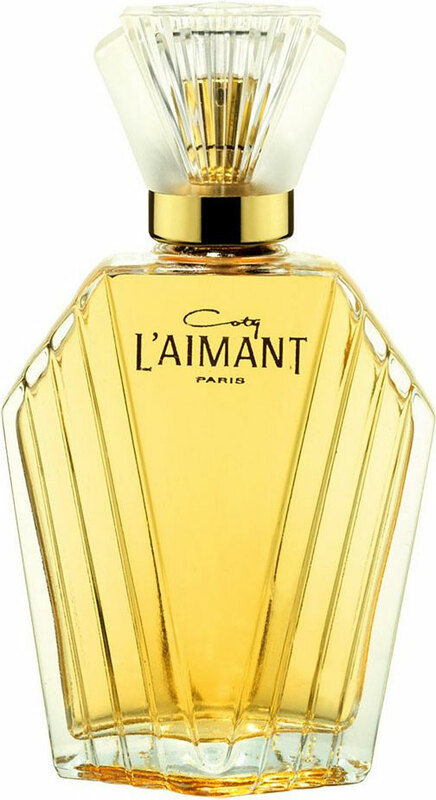 ~ Guest Review of L’Aimant by Coty by The Perfumed Dandy. It is my distinct pleasure and joy to present to you my readers my very first guest reviewer. Brilliant, witty and an Englishman of impeccable taste, style and talent I am sure you, just as I have will fall in love with his unique voice as well as his way with words and images. I found his reviews on Fragantica and we quickly became fast trans Atlantic friends. Soon to have his very own fragrance blog, may I without further adieu present to you, The Perfumed Dandy. I bid you welcome to the most unsettling afternoon tea party in an English rose garden of which, I hazard, you will ever partake. 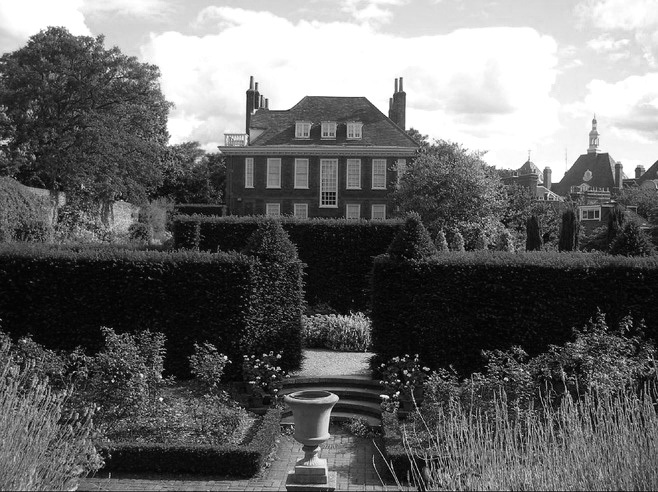 An afternoon tea, in an English rose garden, unsettling? Why in the name of heaven how? Why? Well there’s a killer at the table of course. Helping themselves to custard creams and sweet Ceylon no doubt. 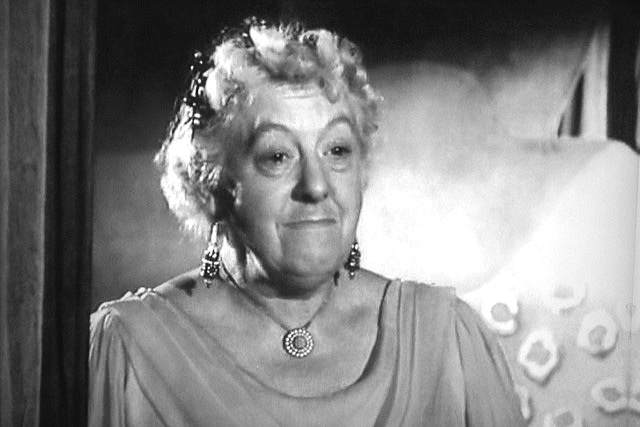 You see ever since Great Aunt Agatha fell off the end of the twig as it were and of decidedly unnatural causes – unless you regard strychnine as a ‘natural tonic’ that is – suspicion has simply swirled around the village. 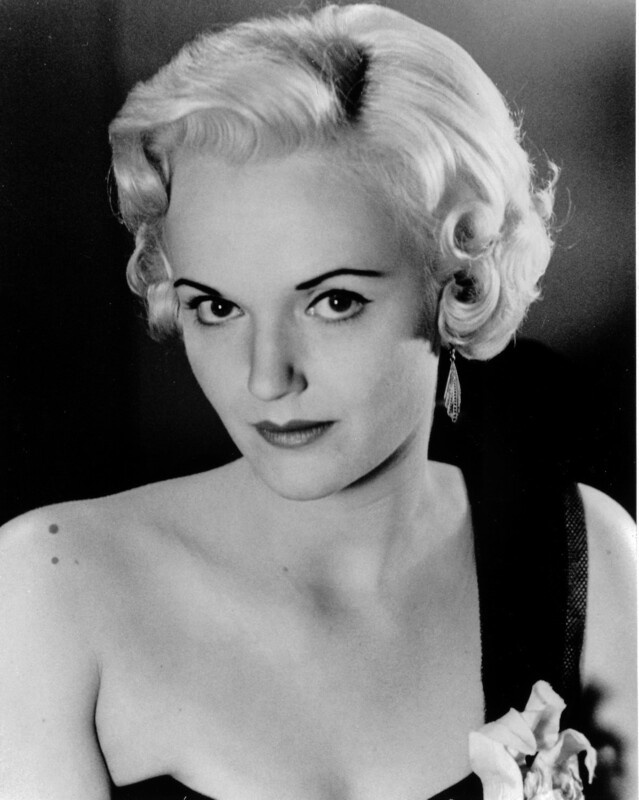 She had a fortune once after all, still had it perhaps…. at the end? Who knows how much of it was left and whence it will go now. A cat’s home perchance? Something missionary? A missionary cat’s home, even, in Bangalore? Notwithstanding such considerations, or should I say motivations, here we all are to hear who it was – if that old bat Madam Coty still has it in her to figure out who the murderess in our little whodunnit was… is – for surely it is a female, poison after all is the woman’s weapon. But it’s soooo bloody hot. This Indian summer is unprecedented. That American woman, all lipstick and nylons, has brought champagne. Pink champagne. Pop. Off with the cork. Here comes the fizz: the acid aldehyde buzz. Who on earth drinks champagne in this heat? At tea? In a dead woman’s rose garden? But it would be rude to refuse. “The tea roses are nearing the end of their season” I sally forth, thinking that after last week’s rain they are near fermenting in this fervour. There’s something nauseous in their scent and artificial like cheap Turkish delight left out too long in the sun. That American woman is applying powder, and spraying herself with perfume. Is she wearing Chanel No5? For godsake this isn’t a speakeasy. The clotted cream in the scones is turning in this temperature. Or is it the confectioners’ cream in those slices? Something is off. It could of course be the vanilla smell of that permanently washed Australian niece of Agatha’s who’s turned up from nowhere with her husband, no, fiancé, all sandalwood eau de cologne and sportscar. THE AUSTRALIAN NICE AND HER…FIANCE. The old be-tweeded battleaxe has finished her tea. I get a blast: sickly Earl Grey. 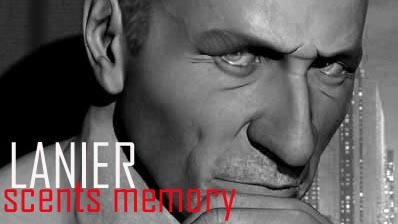 It was the gardener all along. 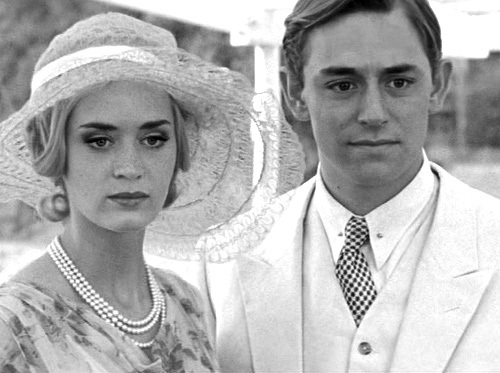 Agatha was tired of subsidising his hot house obsessions: she wanted to raise the greenhouse to the ground, sell off his orchid collection and lay down a chamomile lawn. The horticulturalist not the harlot after all. Our man of the flowers rouses his musty, musky frame and makes a run for it. The officers of the law are waiting. I catch sight of him disappearing into the back of a black mariah. The noose no doubt awaits. She snaps a brisk military nod, smiles her red lipstick smile, ‘If you’ll excuse me.’ She pauses, fixes her regard on me: ‘Oh of course, I knew all along this was a very male sort of a crime, didn’t you? I could smell it’. 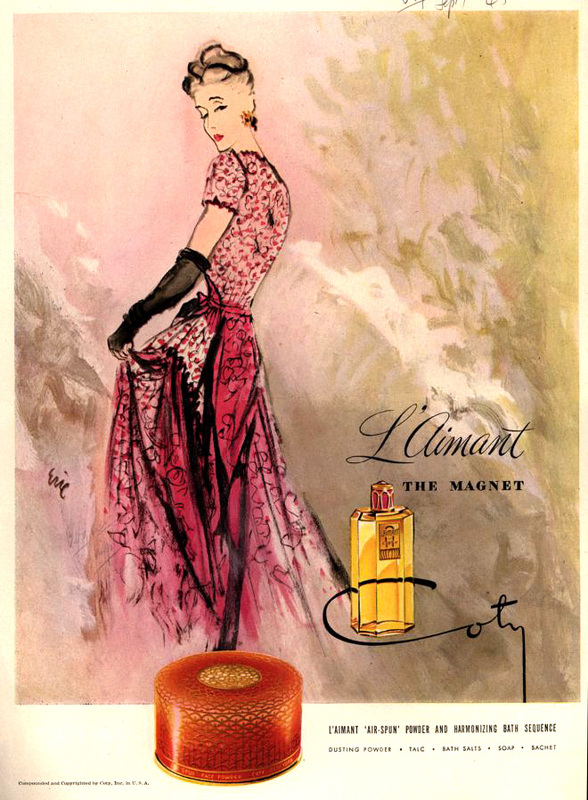 L’Aimant is a classic and subtle-as-a-sledgehammer murder mystery of a scent, in which the glamorous and genteel surface can do nothing to conceal dark goings on. It may all be roses, vanilla and sandalwood on top but that persistent chemical opening paired with tart jasmine and something musty if not downright musky going on down below create an overall emotion of controlled tension. If its greatest fame derives from the fact that it is so doggedly derivative of other great hits of the day, 1927 to be precise, frankly, who cares? Isn’t everything in this genre ultimately a variation on a theme and at least here, just for once, the glamorous bad girl gets away with it. 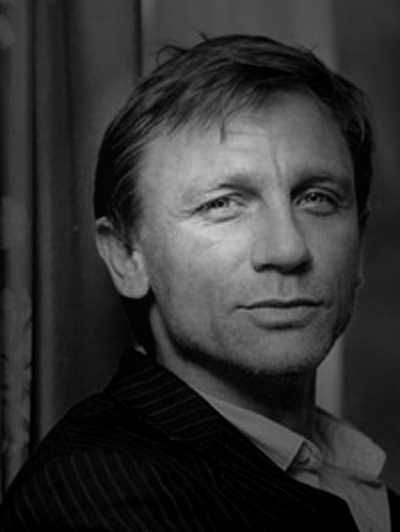 A winner for women with a certain recherché chic and the right kind of man who’s not shy of a rose with thorns. 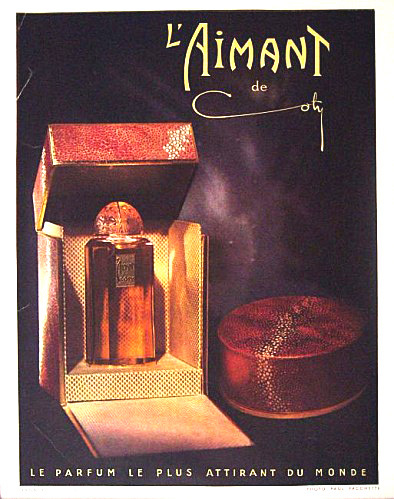 Make sure you get vintage or failing that the ‘creamy skin perfume’ and layer both with body spray, and perhaps even powder, for truly lethal effect.